Even though viewers of The End of the F*cking World were cut up at the end of the Channel 4 adaptation, the original comic had a much darker alternate ending. I’m just gonna go ahead and give you a friendly heads up about how I’m going to gloriously spoil the show in this article, so if you haven’t seen it yet, steer clear. If you don’t intend to watch it and just like reading spoilers so you can be a part of conversations about pop culture then by all means, be my guest. 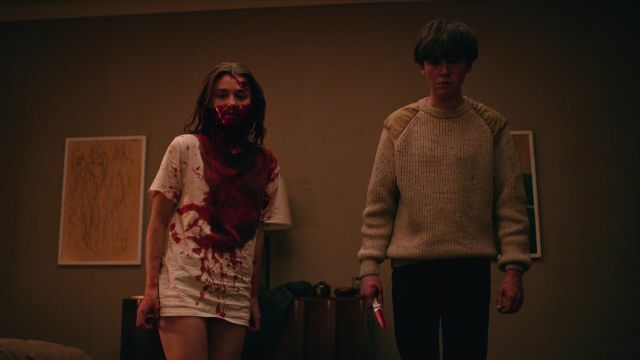 Anyway, so in episode three of TEOTFW, James and Alyssa take a break from trying to find her father to squat in a house they believe to be unoccupied – after a while, the owner comes back, (a serial killer no less), who goes to attack Alyssa only for James to stab him fatally in the neck. However, in the comic, the owner is a satanist serial killer and his wife is a police officer who goes after the young couple, but she’s also a satanist on the side, report Digital Spy. In the TV show, the police officers are just normal PC’s who are trying to locate James and Alyssa so they can arrest them. Yet in the comic, after Alyssa’s deadbeat dad grasses on them to the police (oops it’s actually a satanist avenging the death of her husband!) James ties up Alyssa to protect her and runs off, only to get in a scuffle with the satanist wife before being shot. In the TV show, James and Alyssa try to flee on her dad’s boat, only for James to change his mind, hit Alyssa and run off along the beach – it then cuts to black as a gunshot rings out. In the comic, it doesn’t end there – it gets bleaker. We see Alyssa’s mum on the phone to someone explaining how she knew James was bad news when she met him and how thankful she is to be home safe and sound. We then jump to Alyssa mourning in her bedroom. She takes a nail, runs it through a candle flame and carves ‘JAMES’ into her left arm. Yeah, you can see why the producers left that bit out of the show – for one, it’s quite grim, but more importantly, it stops us from seeing a potential, hotly-anticipated season two. 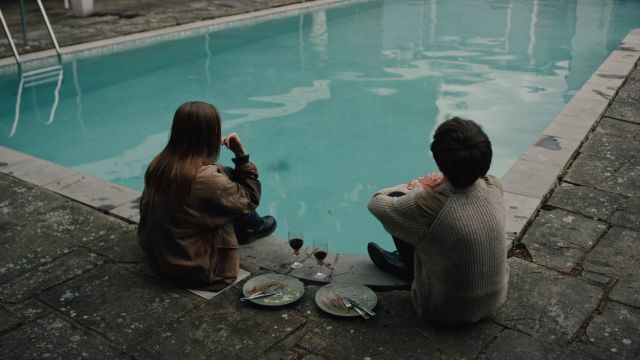 You can watch The End of the F***ing World on Netflix worldwide right now – I suppose this plug is a bit pointless if you’ve just read the above?